Whether you just brought home a new dog, or your current canine companion is exhibiting a concerning behavior, you need to find a dog trainer you can trust. The search for a well-trained, reliable dog trainer is harder than you might think. With so many dog trainers advertising their services on open sites like Yelp, you might find yourself entrusting your precious pup to the wrong person. If you’re wondering how to find a dog trainer and who to trust, we can help. Here at IC HQs, we understand just how difficult it is to find a qualified dog training professional. One person’s website offers one opinion, while another’s recommends something completely different. Friends and family offer their advice only adding to your confusion. How do you filter through all the friendly advice, suggestions, and online searches? Not to worry, we’re here to help you find a dog trainer by addressing common questions, and providing the information and resources you need, to find the right trainer for you and your four-legged friend’s needs. Let’s begin with some common questions and concerns. Are all dog trainers created equal? No, they’re not. First, it’s important to note that the dog training industry is unregulated. There are no official government bodies that oversee the practice of training dogs. Additionally, there are no official universal rules, policies, procedures or gold standards. This basically means that anyone can call themselves a trainer, and do whatever he or she wants – whenever and however they see fit. Some dog trainers don’t even have a business license! 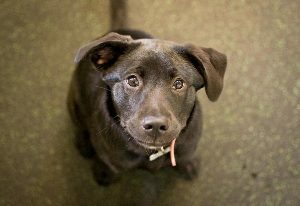 Thankfully, there are independent organizations that have addressed these concerns, including the Academy for Dog Trainers, Karen Pryor Academy, the Pet Professional Guild, the Certification Council for Professional Dog Trainers (CCPDT), and International Association of Animal Behavior Consultants (IAABC). These groups, and others like them, have developed higher standards of practice on a global level. They screen their applicants, require testing for certification and recertification or membership, and provide educational resources — among other things. Although dog trainers aren’t required to become certified or apply for membership in order to train dogs – certification proves that he or she has become proficient in their craft, following the latest in training research and best practices. What’s their real training philosophy and approach? 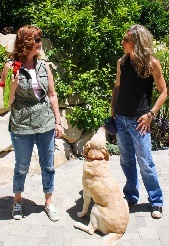 The dog trainer’s approach should be straightforward, transparent, and self-explanatory. If they are claiming their techniques are “the best” and/or “most humane,” then they should have evidence to back up those claims. Utilizing subjective jargon can be misleading, which can cloud decision making for the pet owner. Is this person describing training methods that enhance the experience for both dog and owner? Does it sound like the experience will be enjoyable for both the dog and the handler? Or, is this person promoting a “unique” approach, while implementing outdated techniques, including those that can cause fear or discomfort to the dog? Keep in mind that while addressing overall goals of the client, training should still be fun throughout the process — for everyone. 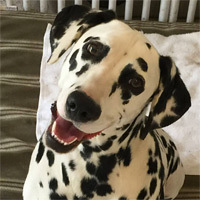 You are likely familiar with such designations as positive reinforcement trainers, cookie trainers, clicker trainers, e-collar trainers, and balanced trainers – to name a few. As mentioned above, there are no gold standards when it comes to training dogs. However, the person’s title, or what they refer to themselves as, will likely tell you a lot about their methods. For instance, trainers who are certified through the CCPDT will refer to themselves as a Certified Professional Dog Trainer. This title indicates he or she practices positive reinforcement methods as outlined in the CCPDT’s Code of Ethics. Titles such as “balanced trainer” often means they practice dual approaches. They may combine positive reinforcement with fear-based techniques, including physical corrections (i.e. alpha rolling, kicking, kneeing, collar corrections, choking with a prong or choke collar). E-collar trainers also implement punishment based techniques, with the addition of electronic (shock) collars. Fear-based techniques are outdated, and the trainers who use them may not have an education on animal learning theory or science-based techniques, are unaware of progress within the industry, and don’t have a grasp on the fallout of coercion and aversives. Trustworthy dog trainers will use transparent, clear, and consistent content throughout their website and social media pages. Those who use a force-free approach will talk about using whatever motivates the dog to want to participate in the training plan, focusing in on rewarding wanted behaviors, and teaching the dog what the best behavior choice is — without instilling fear. 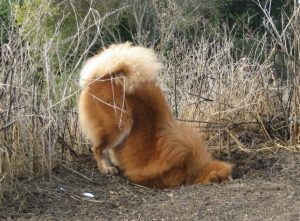 Those dog trainers who express their use of treats, as well as “dominance” or “corrections”, give a cloudy picture as to what their methodology is. Are they putting a spin on their training approach and using these terms to help market themselves? Do they really have their clients’ best interests at heart? Techniques that risk injury should raise a red flag. But, which method is best? Pet owners can choose between force-free, positive reinforcement; mixed training combining both positive reinforcement and punishment; or punishment-based training. The former uses anything that motivates the dog to want to participate throughout their training. 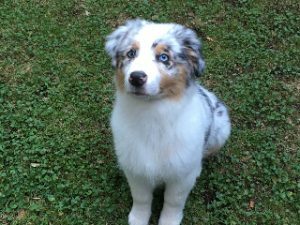 This approach teaches your dog the skills to make the right choices while focusing on wanted behaviors. The latter uses fear-based techniques for the purpose of decreasing undesirable behaviors. This approach focuses on unwanted behaviors and doesn’t teach the dog how to make the proper choices. For too long force-based techniques have been used, because they were part of our culture. Thankfully, progress has been made over the years, proving that while these training techniques can work, they are outdated and unnecessary for training dogs — or any animal. Performing a Google search on the fallout of using punishment to train dogs yields several results. The American Veterinary Society of Animal Behavior composed a lovely Position Statement on the Use of Punishment explaining the pitfalls and risks when using these techniques. This resource will provide unbiased information along with additional links to reputable studies. Now that I know what to look for, where should I start? Now that you’re armed with the knowledge of different dog training approaches, you’re ready to begin your search. Searching for a dog trainer is similar to searching for any service-based businesses. Asking for referrals is a great way to find a trustworthy trainer. Veterinarians and other pet owners are a great source for finding qualified professionals. Yelp is another popular source for finding pet trainers. Just be sure to do your due diligence, read reviews and learn about their approach and methods before committing to their services. Keep in mind that humans are animals too. If something doesn’t feel right, trust your instincts. Conduct an interview, and ask questions. Use your research skills to review their website, reviews and social media to vet them thoroughly before entrusting them with your canine companion. Whether you’re a first-time or seasoned dog owner, with each new experience brings new needs and goals. Finding a professional dog trainer who will listen to your needs, develop a plan that works for you and your dog, provides proper education, and supports you along the way can lead to a more pawsitive experience all around. With the right dog trainer, you’ll have more time to be with your inquisitive canine. 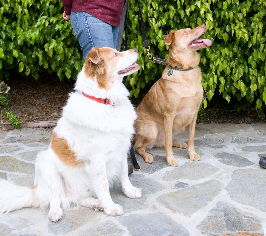 Use our tips to find a dog trainer you can trust. 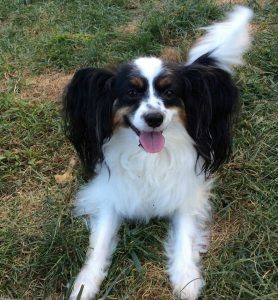 Ever since the Inquisitive Canine was founded in 2005, Joan Hunter Mayer’s life has gone to the dogs — and she couldn’t be happier! A certified professional dog trainer and behavior consultant, Joan not only loves seeing her canine students succeed, but also enjoys empowering dog parents with a valuable education to enhance their relationships with their dogs for life. Just a heads-up: the CCPDT code of ethics does not prohibit the use of shock collars, only “discourages” them as a “last resort” and requires you not to use more than one on a dog at a time or place it on their groin. There are some aversive-heavy trainers who are CPDT’s, unfortunately. Hey, Laura! Thanks so much for making it clear that not all CPDTs are using a force-free approach; a true shame. I decided to include the organization in this post because there are way too many folks out there “training” who aren’t members of any professional group. Although not perfect, I’m hoping that folks searching for a trainer will be more diligent in their search.